A Sharpsburg man planting trees at his Powell Road home Thursday unearthed a live Civil War-era shell that authorities later disposed of by setting it off at a neighboring farm. “When I saw it I knew what it was,” J.D. Taylor Jr. said. “It was the second one I found here. “It was some kind of experience.” Taylor said he at first thought he hit a rock with his steel shovel while digging in his yard about a mile from Antietam National Battlefield sometime between 8:30 to 9 a.m. He pushed the shovel under the object, which was five or six inches deep, and knelt to pry it out. The Maryland State Fire Marshal’s office said in a news release that the object was a 3-inch Federal Navy Schenkl that had not been fired and had an intact fusing mechanism. Taylor said it weighed about eight pounds, was about nine inches long and had a spring-loaded detonator on the end. “It looked like a torpedo without the fins,” he said. Taylor said he wasn’t afraid to handle it. “I said, ‘Oh my Lord, there’s another one,’” he said. He had prior experience with another one found 30 years earlier and about 12 to 13 feet away. Taylor said a contractor working to build his home in 1983 found one just like it while digging on the site. He said he left the first one at a tree in the woods and it eventually disappeared. He thinks it was probably taken by Civil War artifact hunters. After finding the second shell on Thursday, Taylor called the Washington County Sheriff’s Office, which requested bomb technicians from the state fire marshal. Those technicians were joined at Taylor's home by U.S. Army bomb technicians from Fort Belvoir, Va. Fire and emergency medical service personnel from Sharpsburg stood by, according to the fire marshal’s news release. Taylor said Maryland State Police were also at the scene. Authorities using computers in their vehicles researched the device and determined it had been used by both the Union army and navy during the Civil War, according to Taylor. The technicians took the shell to the neighboring farm and detonated it, he said. “It made a decent boom,” Taylor said. No one was hurt. 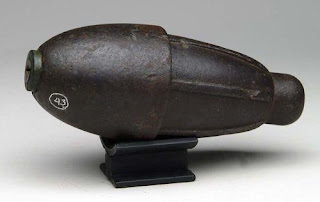 The on-site research showed that had the shell been inert, it would have been worth about $600 to a collector, Taylor said. 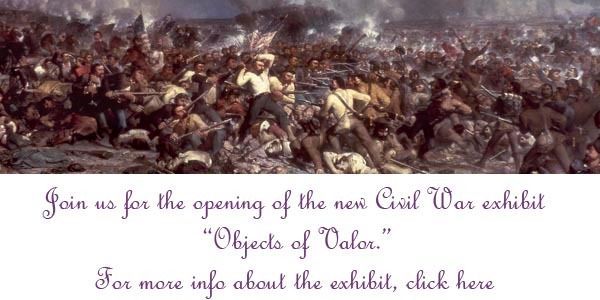 Objects of Valor Exhibit To Open In Harrisburg, Tom Barnes, Pittsburgh Post Gazette, April 14, 2013. Gettysburg isn't the only place where Civil War buffs can see paintings, uniforms and artifacts related to the historic three-day battle fought in July 1863. The State Museum of Pennsylvania is getting in on the act also. Starting Friday, an exhibit called "Objects of Valor" will open at the museum, located on Third Street across from the state Capitol. The exhibit is designed to "commemorate the Civil War in Pennsylvania," said the Pennsylvania Historical and Museum Commission in a statement. Perhaps the most noteworthy item in the exhibit is a large painting depicting the unsuccessful charge by Confederate Gen. George Pickett's troops against Union forces on July 3, 1863, in which hundreds of men on both sides were killed or wounded. Its ultimate failure to dislodge Union troops from their lines led Confederate Gen. Robert E. Lee to pull his forces back to Virginia the next day. This painting -- 16 feet high and 32 feet wide -- was commissioned by the state Legislature in 1865, the year the war ended, and was completed in 1870 by a Luzerne County artist named Peter F. Rothermel. There will be interactive panels beside the painting that visitors can use to get information about Pickett's Charge and about how the painting came to be done. "The exhibit tells of the painstaking research conducted by Rothermel and its much-anticipated unveiling in 1870 at the Academy of Music in Philadelphia," museum officials said. The Rothermel painting of "Pickett's Charge" is done on a single canvas, and is completely different from what is probably a better-known artwork that also depicts Pickett's Charge -- a 42-foot high, 377-foot Cyclorama painting that was created in the early 1880s by a French artist, Paul Philippoteaux. That one hangs in a circular gallery inside the National Military Park and Visitors Center in Gettysburg, which is run by the National Park Service. Other Civil War artifacts that will go on display at the state museum in Harrisburg include a chair that Gen. George Meade, the Union commander at Gettysburg, used in his headquarters on the battlefield; a musket that a 69-year-old civilian named John L. Burns used to help defend Union soldiers at Gettysburg; and various pieces of shot and shell taken from the battlefield. Also on display will be recent acquisitions of uniforms, weapons and tools used by African-American soldiers who fought in the Civil War -- some of them former slaves -- who were members of a unit called the United States Colored Troops. Other items that have been donated by military veterans and their families over the past 100 years will also be available for viewing, including swords, sashes and paintings of Civil War generals as well as "everyday items saved by common soldiers to memorialize their war experience," museum officials said. The Harrisburg museum (www.statemuseumpa.org or 1-717-705-8639) is open from 9 a.m. to 5 p.m. Wednesday to Saturday and from noon to 5 p.m. Sunday. Admission is $5 for adults and $4 for children and senior citizens. The Historical and Museum Commission, based in Harrisburg, operates 25 historical sites and museums around the state. 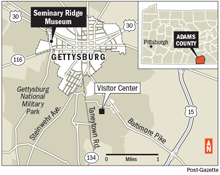 Seminary Ridge Opening To Mark Gettyburg Anniversary, Tom Barnes, Pittsburgh Post Gazette, April 14, 2013.
. . . A major part of the celebration will be the opening of the $15 million Seminary Ridge Museum, which, appropriately, takes place July 1. It's been created in a large building that was a Lutheran theological seminary in 1863 and which became a makeshift hospital for both Union and Confederate troops wounded in the fighting. Construction of the new museum "will allow visitors to walk the halls of a building where wounded soldiers suffered, hear their voices of duty and devotion and stand in the spot in the cupola on Seminary Ridge where Union Gen. John Buford stood to observe the approaching Confederate forces," said museum director Barbara Franco. The seminary, which educated Lutheran pastors, was founded on the ridge in 1832 and is still located there, although it has expanded and modernized, with many more classroom and administrative buildings than it had 150 years ago. The four-story, red brick building that was the original seminary building has been turned into a Civil War museum. It still has its tall cupola on top -- a one-time bell tower where Buford spotted thousands of Confederate troops advancing from the west toward his small band of cavalry, who stepped down from their horses to fight. "He could see the Confederate campfire lights off in the hills to the west," Ms. Franco said. "He could see that the Union was vastly outnumbered." The museum's depiction of the medical care includes lifelike, human-size figures created to represent the suffering soldiers, with many stretched out on beds or the floor. In many cases Union soldiers who were wounded on the first day of battle didn't receive any care for three days because Confederates controlled the makeshift hospital and were tending to their own wounded. Care for these Union soldiers didn't come until July 4, when rebel forces finally retreated south to Virginia. The seminary was used as a hospital until September 1863. One room shows a surgeon with a saw preparing to amputate the leg of a soldier, with (fake) blood all over the floor. There was chloroform and ether to somewhat ease a patient's suffering. "The pain these guys must have been in, with broken arms and legs and gunshot wounds, is unbelievable," Ms. Franco said. She added the museum has done research to uncover the names of all the patients treated in the hospital and the nurses who treated them. The second floor is devoted to moral and theological disputes during the war. "Religion played a major role in the war, with both North and South claiming God was on their side," Ms. Franco said. She's hoping to attract a new crowd to Gettysburg -- Christians and others interested in social justice issues, including the owning of slaves and what the Bible has to say about it. She said biblical quotations were used by both pro- and anti-slavery advocates to justify their positions. 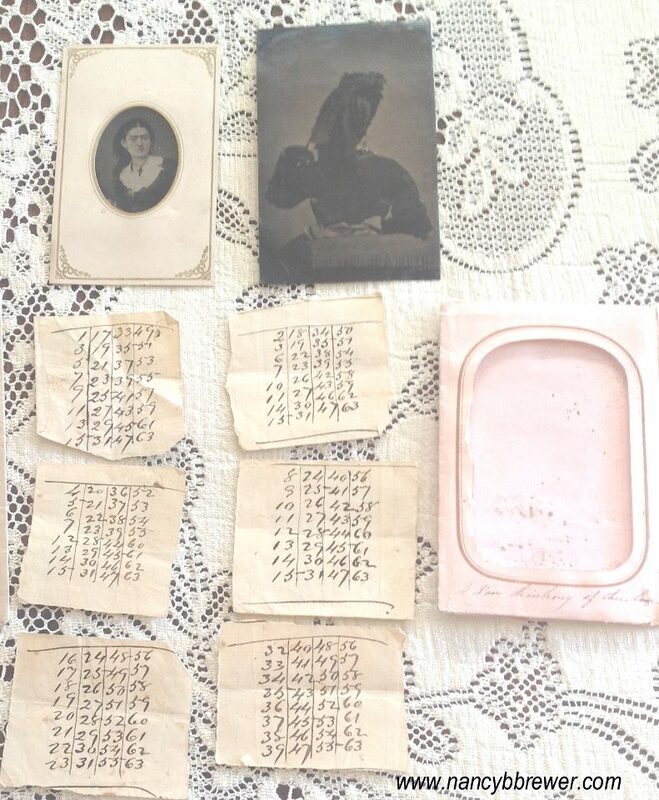 One second-floor room is devoted to Adams County abolitionists who helped escaping slaves flee from the South through the Underground Railroad, a series of houses where they stayed. Ms. Franco hopes to attract 70,000 people a year to the museum. The Seminary Ridge Historic Preservation Foundation was formed in 1999 to bring greater public knowledge of what happened that July 1. 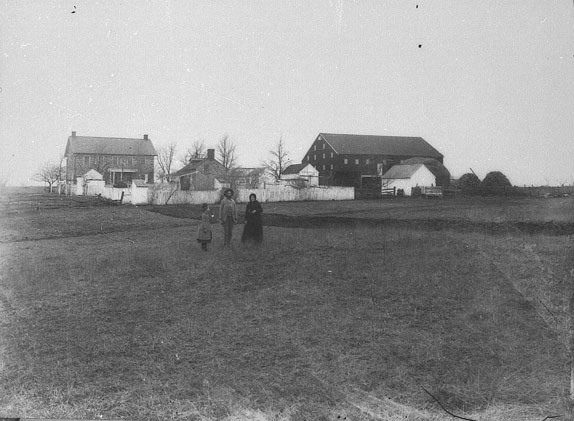 Working with it on the museum were current officials of the seminary and the Adams County Historical Society. 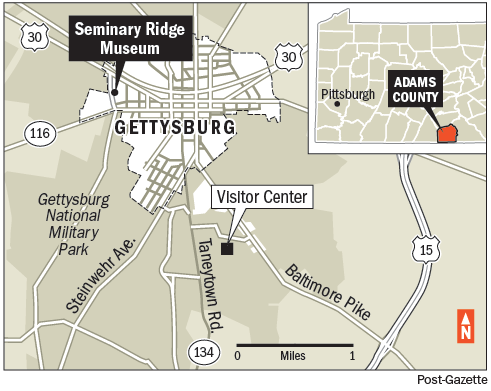 Also, a mile-long outdoor walking trail around the seminary property is being created by the National Park Service and a promotional group called Main Street Gettysburg. "I am looking for someone who can crack Civil War codes. 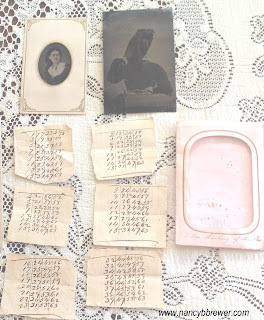 This is a spy letter, that I think may be Rose O'Neil Greenhow- (See front and Back view of her in tin type) The code was hidden between the two tin types. (believe it or not I found this at a flea market)"
Abraham Lincoln: A Life, Volumes, One and Two, Michael Burlingame, Johns Hopkins University Press, Paperback, Volume One, 1035 pp., 10 illustrations, bibliographic notes, index, Volume Two, 1048 pp., 23 illustrations, bibliographic notes, index. Each volume is $29.95. In the first multi-volume biography to be published in decades, Michael Burlingame offers comprehensive and fresh look at Abraham Lincoln's entire life. Accessing the field notes of earlier biographers, and relying upon decades of his own research in manuscript archives with extensive newspaper collections, Burlingame as produced a remarkable work. A fresh look? Is that still possible? Indeed, it is possible and it has been achieved. Abraham Lincoln: A Life both alters and reinforces readers' understanding of the sixteenth president. Volume One presents Lincoln's early childhood as a farm lad in Kentucky, Indiana and Illinois, his legal training, and his 1846-1848 term in the U.S. House of Representatives. The volume through the end of 1860 as Lincoln chooses is presidential cabinet. Volume Two begins with his February 1860 trek through the North and ends with his assassination in 1865. Military dilemmas, battlefield crisises, relentless office seekers, challenges from senators and representatives, the death of a son, stresses to his marriage are presented with new interpretations. Published during the 200th anniversary of Lincoln's birth, Burlingame's hallmark study reinforces his reputation as a thorough author of Lincoln's life and era. Abraham Lincoln: A Life has been named as one of the top ten Lincoln books by the Chicago Tribune. The work has also won the 2008 Prose Award of Best Book in U.S. History and Biography and the 2010 Lincoln Prize from the Civil War Institute at Gettysburg College. 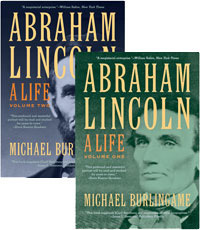 Readers who have enjoyed the narrative styles of Bruce Catton and Shelby Foote, will likely also enjoy Burlingame's Abraham Lincoln: A Life. The 156-acre George Spangler farm served as the Union army’s 11th Corps field hospital from July 1 to the first week in August, 1863. Over 1,600 Union and Confederate wounded were treated here. Recently preserved by the Gettysburg Foundation, the farm stands as the finest example of a field hospital that exists on the Gettysburg battlefield. 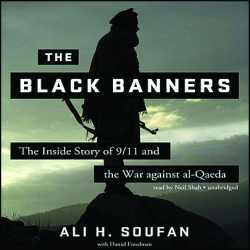 The Black Banners: The Inside Story of 9/11 And The War Against Al-Qaeda, Ali H. Soufan, with Daniel Freedman, W.W. Norton Publishing, 608 pp., map, list of characters, list of documents cited, $26.95 hardcover, 2011. 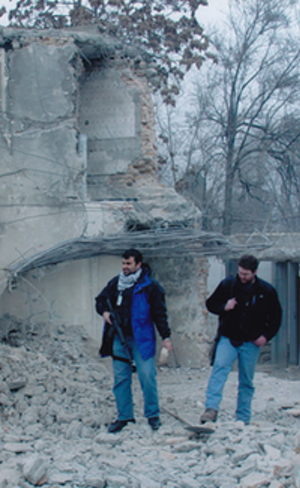 Ali H. Soufan, former Federal Bureau of Investigation interrogator and counter-terrorism operative, discloses the successes, failures, bureaucratic incompetence and turf protection of some federal agencies from al-Qaeda's declaration of war in 1996 through the death of Usama bin Ladin in 2012. Soufan is a Lebanese American who graduated in 1995 from Mansfield University, a institution in the Pennsylvania university system. On September 11, 2001, FBI Special Agent Ali H. Soufan was handed a secret file. Had he received it months earlier, when he had requested it, the 9/11 attacks may have been prevented. From his beginning employment in 1995 through his 2005 departure from the FBI, Soufan interrogated prisoners and elicited some of the most important confessions from terrorists in the war against al-Qaeda. His method of interrogation used conversation only and he never used violence. Soufan provides intimate firsthand knowledge of the investigation into the October 2000 attack on the USN Cole in Yemin. Al-Qaeda hideouts, CIA and FBI interrogation rooms, Guantanemo Bay and al-Qaeda in America are the environments are are revealed either by first hand observations or revealed in interrogations. Usama bin Laden's personal celebration of the 9/11 bombings, the mindset, personal lives of terrorists as well as their thought processes and operate style are each presented. The Black Banners: The Inside Story of 9/11 And The War Against Al-Qaeda essential and compelling reading. Words, phrases and paragraphs within the text have been blackened out by order of the Central Intelligence Agency.